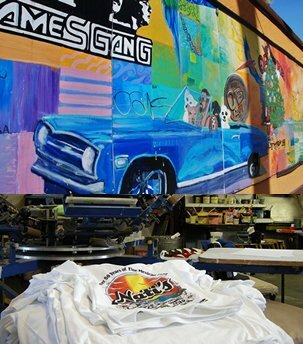 About Us James Gang Company is a professional silk screen printing, custom apparel, embroidery and specialty printing company! The James Gang is located in Ocean Beach (San Diego) California and can serve your custom printing needs no matter where you are located. Create Your Custom Shirt! 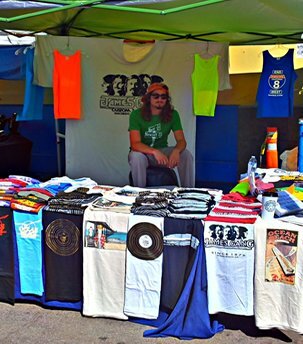 You can get started now creating your own custom shirt for your business or event. We have an easy to use personal shirt customizer for your convenience. Or you can always email us your logo or come into the JG store to get started. Excellence In Customer Service Winner James Gang was awarded “Excellence in Customer Service” by the San Diego Regional Chamber of Commerce. 4851 Newport Avenue, San Diego, CA 92107. The James Gang Graphics company was founded in 1976, on Newport Avenue in Ocean Beach, California. Started by the five James' brothers: Ron, Rich, Greg, Mike and Pat, hence the Gang. A family business through and through each of the brothers contributed to the operation in their own way. 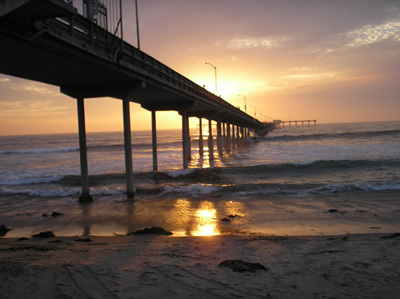 Although the James Gang serves all of San Diego's screen printing and paper printing needs, we have a special connection with Ocean Beach. 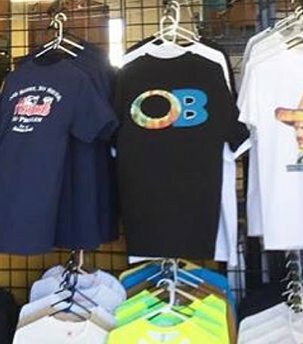 Our own custom t-shirt designs have been greatly inspired by Ocean Beach's unique retro style and local attractions such as the fishing pier and dog beach. The Gang has always been involved in community affairs and remains so to this day. 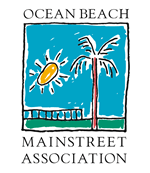 We participate in the weekly Farmers Market, Summer Street Fair, and OB Christmas Parade. Although most of our competition resides inland in industrial parks, we have made it a priority to stay right here by the beach. The salty air makes for better t-shirts, just kidding, but in all seriousness there would be no James Gang without Ocean Beach, San Diego. The Largest Tie Dye Shirt in The World!